5 years ago yesterday Tom came to your facility for help. 5 years later he is doing awesome! This was the best thing we ever did for our family. Tom no longer takes 800 mg of oxy a day with Percocet for break through pain. His personality is great and he has no regrets. We think of you often and hope others find hope in your ability to take away the dependency of these drugs! We now have 4 (yes, 4) grandbabies. Ages 5, 2 1/2, 1 1/2, and 6 weeks. We just marvel at them and have so much fun. Tom is an awesome “Pops”…and again, most of this is because of you and your team. God bless you all!! 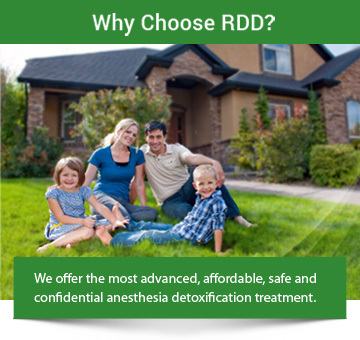 Thanks for all that you and your colleagues at Rapid Drug Detox have done for us!